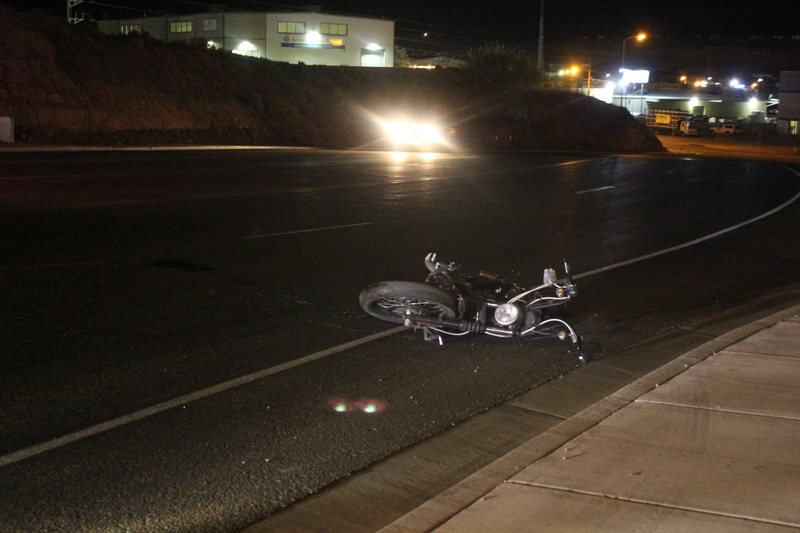 ST. GEORGE — A motorcyclist was transported to the hospital after reportedly crashing into a car on Red Hills Parkway Saturday night. 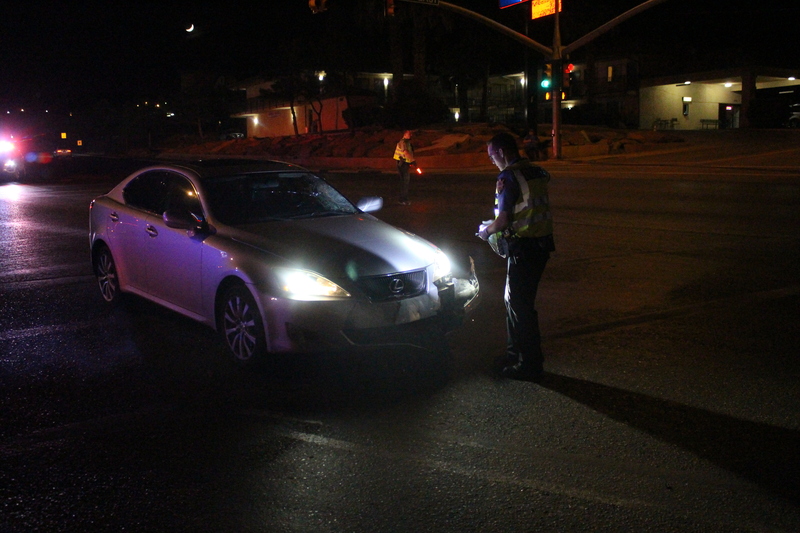 Units from St. George Police Department were dispatched to the scene of the crash at the intersection of Red Hills Parkway and 1000 East at approximately 10:43 p.m. The motorcyclist, a man in his early 20s, was westbound on Red Hills Parkway when he hit an eastbound silver Lexus passenger car, St. George Police Lt. Curtis Spragg said. The rider was not wearing a helmet at the time of the crash. When police responded, they found the motorcycle lying on its side in the street several feet from the Lexus. “We’ll let the accident reconstruction team look at any of the possible skid marks on the roadway, lane of impact and stuff like that,” Spragg said, adding that the exact cause of the collision was still unclear. Medical personnel from St. George Fire and Gold Cross Ambulance rushed to the scene. The severity of the man’s injuries was unknown to police at the time this report was taken. Citation is pending while the motorcyclist receives treatment and the investigation is conducted. The Lexus sustained some damage to its front end and a partially shattered windshield where the motorcyclist apparently made contact. Eastbound traffic on Red Hills Parkway was blocked while police investigated the scene of the collision. Why doesn,t the state require helmets for cyclists?? That is a bad intersection I avoid..the speed on red hills parkway should be reduced.. I can,t believe how many accidents occur everyday in St George..